If you need CMBS financing, contact us today! Call 1-800-595-1474 to talk to a financing specialist today! 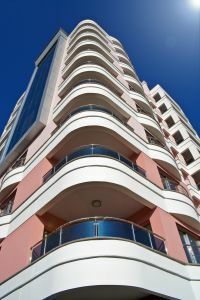 Commercial Mortgage-Backed Security, CMBS, is a type of mortgage-backed security that is secured by the loan on a commercial real estate property. CMBS financing can help real estate investors by providing liquidity to commercial lenders and real estate investors. Like many other mortgage-backed securities, frequent use of CMBS can be ascribed to the fast increase in real estate prices over the years. Because these CMBS loans are not standardized, they are more difficult to value because they are more complex. In comparison to RMBS, also known as residential mortgage-backed security, CMBS have a lesser degree of pre-payment risk because commercial mortgages are often set to a fixed term. Since 1977, Ocean Pacific Capital has assisted its clients in acquiring the best CMBS financing to suit their needs. Our direct access to over 130 of the most aggressive wall street conduits, and investors allows us to obtain the best and most competitive rates readily available. For more information or to see why real estate developers and investors continue to use our services, email or call us today.